Very often I end up watching a movie long after the rest of the world has seen it, simply due to not finding the time. Also the more I want to see a movie, the more I avoid reading other people's reviews and spoilers and sometimes I don't even watch the trailer, regardless of how much noise it may have made. 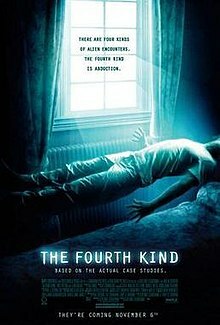 So a few days ago I sat down to watch "The Fourth Kind", knowing absolutely nothing about it. And by the time the movie ended, I was sticking to the couch, hugging the cushions, my jaw was laying on the ground and I had plums for eyes.